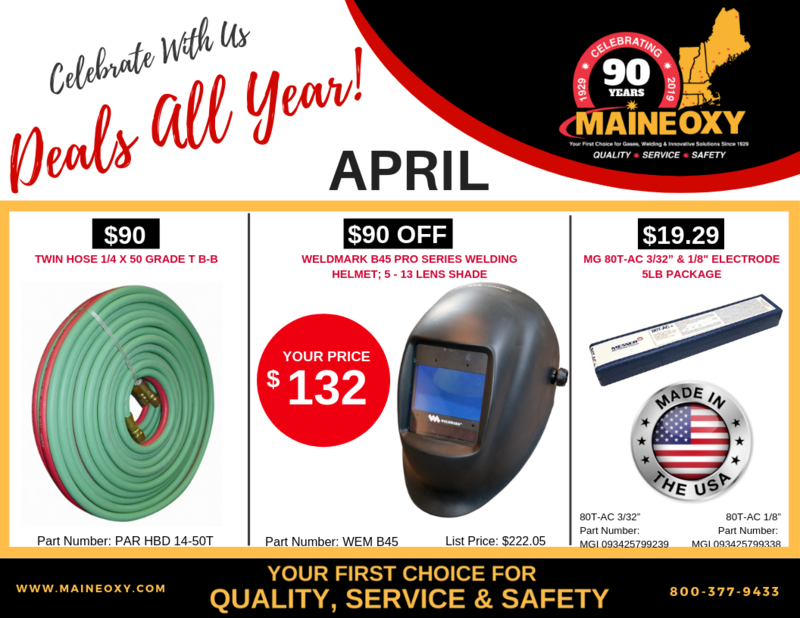 In 2019, Maine Oxy, your first choice for gases, welding, and innovative solutions, is celebrating 90 years of business! All year long, we are thanking you, our valued customer, for being part of our journey, with some great deals! Check back often for the latest anniversary deals! Click here to see our 90th Anniversary Sales Flier! In addition to our Quarterly Sales Fliers, each month will feature our “Deals All Year” Sale Specials! Deals for $19.29, $90 and $90 off! Click here for more information.